Call it by whatever name: Green Energy /Sustainable Solutions /Cleantech /Alternative Energy /etc. The quest for environment friendly, cheap and renewable energy is probably the most important technology problems of the 21st century. Various options are being under development for a few decades but still all of these put together constitute a small percentage (in most countries – single digit) of total energy consumption. These options include: Wind, Bio-Fuels, Solar Photo-Voltaics, Solar-Thermal, Geo-Thermal, Tidal Power, etc. The only renewable energy form that has been used effectively(in non-trivial amounts) is hydel power. In this brief blog, I am attempting to capture a list of interesting companies and R&D organizations in Pune that are involved in these fields. Would appreciate any inputs (and details) on companies/organizations that you are aware of, and that are not listed in here. Please add them as comments, and I will consolidate them into this blog post. Thermax has been an important Indian (as well as global) player in Thermal Engineering for many decades. Their focus includes Solar Thermal, Geo-Thermal, Waste-Heat Recycling and related areas. Suzlon Energy is amongst the top wind power companies in the world. Headquartered and founded here in Pune, it has a global presence in Europe, North America, Australia and in many other countries. National Chemical Laboratory (NCL) is the premier research institution in India (and one of the top ones globally), involved in R&D in chemistry and chemical engineering. Their work includes research on bio-fuels, associated enzymes, etc. Design thinking is more than just the art of designing a usable interface. Think of it as a skill that can help mold technology in to an agent of change. To help stimulate design thinking a mix of celebrated as well as young design entrepreneurs will share their award winning designs and thinking models with POCC. Satish Gokhale, was recently in the Times of India for designing TATA Swach, a water purifier unveiled by Ratan Tata, that costs under Rs. 1000, does not use electricity or running water often not available in rural India. Satish has designed several award wining products, and won the BusinessWorld Design Brilliance Award several years in a row. He was invited to deliver the keynote address at the International Design Forum, Singapore, and invited by HP Innovation Labs to present on “Design for The Other Six Billion”, Palo Alto, California. Satish is an entrepreneur himself, and he has accepted our invitation to speak at POCC on how he designed the Swach for extreme affordability, something that MIT Review calls “Value for Many and for Money”. Dipendra Baoni is the Founder and Managing Director of Lemon Design, a Pune based Strategy, Branding and Multi Disciplinary Design Studio. Some of Lemon’s clients include RBI, Airtel, TVS Lucas, Hindustan Times and TCS. An Industrial Designer from NID ( National Institute of Design), Dipendra has won awards in Transportation Design ( Audi International Design Competition – 1996, Nagoya Car Design Competition – 1997) and Web Design ( Macromedia). Dipendra is interested in the convergence of Design & Technology to create/identify unique marketplace opportunities that address real world problems and create compelling value propositions for users and stakeholders. Dipendra is also a Director at Bisquare Systems, an Industrial Design, UI/UX Design, Embedded Software and Electronics Design Firm and has also recently started ECCO Electronics, a company that makes environmentally friendly, affordable consumer products. Dipendra is also involved in academics at NID, MIT and SID. Chinmay Kulkarni is a Business Design Consultant and heads Preference Architects, a Brand Strategy Consulting Firm. He focuses on identifying and harnessing strong motivators in the value flux to achieve the maximum revenue impact. He has been a consultant to companies like Skoda, Prudential, Gera Developments etc, and is the only SE Asian Consultant to global brand IKEA of which he will be sharing a case-study with us. The IKEA case demonstrates the role of creative thinking in business with a definite focus on innovation. His next focus is to help a Tier-I ITES company to build its global consulting practice in design. He is a graduate of National Institute of Design. After the talks, we will have an hour for general networking as we celebrate the second anniversary of POCC. Venue: SICSR,7th floor, (Model Colony, next to OM Super market). Map. Registration and Fees: This event is free for all to attend. Register here. Last year, we had run a quiz on copyrights and patents, consisting of a number of day-to-day examples where copyright or patent issues were involved. These were examples of the kind that an average PuneTech reader might run into. Interestingly, a very large fraction of those who took the quiz, got lots of answers wrong. The quiz was a big hit amongst our readers. Unfortunately, we overlooked posting the results of the quiz. 56% of respondents got this wrong and felt that Unmesh can claim some money from either Navin or Zapak. Answer: Making code public does not change the fact that Unmesh owns the copyright to the code. The fact that Unmesh neither attached a copyright notice, nor did he register the copyright is irrelevant. Copyright notices and registrations are not necessary. Unmesh is legally the owner. Note also, that Navin can rewrite the program to do the same thing but using different code wrote and Unmesh would have no intellectual property claims on the new program Navin wrote. Lot of ignorance here. A whopping 45% of the respondents felt that Unmesh had no claim on the code because he did not attach a copyright notice, and 34% felt that he had no claim because he made the code public. Question: Navin is now a very successful and rich entrepreneur, based on the previous two exits. He now pays Unmesh to develop a new website for him – http://PhirangiMaal.com – to identify the best foreign goods available in Pune. Unmesh writes the code and in the process develops a very innovative new algorithm for automatically identifying good phirangi maal. Needless to say, this algorithm and site is a great success. eBay.in is interested. Which of the following are true. This time there was an agreement between Navin and Unmesh saying that Unmesh is developing PhirangiMaal.com for Navin for a given sum of money. Unfortunately, the agreement doesn’t say who owns the intellectual property. Answer: In the absence of an explicit agreement, Navin owns the intellectual property because this was work done for hire. Interestingly, most people got this one right. Question: Unmesh wrote a great program – a mobile application that can cause a mobile phone to self-destruct when it is taken outside the borders of Maharashtra. Unfortunately, he did not show the program to anybody, he did not register a copyright on it, and he did not make it public. One day, Navin happened to get access to Unmesh’s laptop, copied the program and later sold it to Raj Thakarey. Does Unmesh own the copyright on this program? Answer: Yes, Unmesh owns the copyright. Copyright registration, copyright notice, and making public have no effect on copyright ownership. As soon as a creative work is created, the author gets the copyright. While Unmesh might have a tough time proving that Navin stole the code from him (and that is the reason why copyright registration has value), legally the ownership is clearly with Unmesh. 57% of respondents got this one wrong (most of them thinking that copyright registration is necessary). Question: To increase traffic to his site Unmesh wants to put up a collage of beautiful/handsome people at the top of his homepage. He downloads a bunch of images from images.google.com, crops them appropriately, and creates a collage, and puts it up. Unfortunately, one of the images belongs to Reuters, who sues Unmesh for $2000 (for just that one image). Answer: Most people got this correct. Downloading images off the web and using them on your website is a copyright violation, and the above has actually happened to a Pune startup (no, not Unmesh!!). It is worthwhile to note that you are legally liable even if you outsourced the website development to some other small company, and their designer was the one who downloaded the image and used it without checking the copyright notice. Question: Rohit11 decides to manufacture a home security system, which is a hardware box that can be installed on people’s doors. The device runs software that is derived from the Linux OS. Since he has a large heart, Rohit11 gives this device away for free for everyone in Pune. Is he required to release the software (since Linux is GPLed)? Answer: The correct answer is that the software must be released. It can be put up on a website – shipping with the device is not a requirement. However, shipping a 400-page book is not good enough. The software must be in machine readable form. Question: Unmesh decides to open-source the code that runs SadakMap.com (under GPL). Navin takes that code, makes extensive changes to it to allow people to interact with the maps using SMS. He then uses the code to create http://SMSMaps.in. Now Unmesh wants to add the same facilities to sadakmap. Can Unmesh force Navin to open-source SMSMaps.in? Answer: No! Since Navin has not “distributed” the code to anybody else, he is not forced to give out his source code by the GPL. The new Affero GPL covers this case, but a regular GPL does not. 51% got this wrong. Answer: This is not a copyright violation. This is allowed under fair use (also known as fair dealing). Most people got this right. Answer: This is legally not a violation of copyright law. But is a bad practice and is frowned upon, so you should avoid it. Answer: This is a copyright violation. Publishing a full article is not legal, irrespective of whether you link/attribute the source. 50% of respondents got this wrong. Answer: This is a copyright violation. Unlike short excerpts of text (which are OK to copy), copying images, or even short excerpts of music are usually violations. Only 40% of respondents got this correct. Answer: This is a copyright violation. You’re not allowed to copy even short clips of music. Only 29% got this right. Answer: Unmesh owns the patent and hence he can legally stop Zapak from selling the game, he can legally claim money and/or royalties from Zapak or Navin. Most people got this one right. Question: Navin works for reputed IT firm as high performance database architect. While on a trekking trip with his friends on Sunday, he conceives an idea of a new trekking shoe. Next Sunday he takes help of his friend Hemant who has knowhow of patents to file a patent on his new shoe. Later Navin leaves the IT job and toils to finally productize his shoe. Around the same time Navin’s patent on the shoe also gets granted. Few days after that the IT firm where Navin worked before becomes aware of popularity of the new trekking shoe and Navin’s patent on it. The IT firm asks Navin to transfer his patent rights on the shoe design to the IT firm. Answer: The real answer is that it depends upon the employment contract that Navin has with the IT firm. In most of the large companies that I know of (also known as reputed IT companies), the employment contract states that all ideas that the employees get while they are employed belong to the company. People often feel that work done in personal time, work unrelated to company business etc. are exempt, but it is not. Often entrepreneurs develop ideas while being employed before breaking up, but do not realize that they are at risk of assertion of employment agreement. Startup founders get into trouble like this very often. Question: Navin is settled in U.S. He comes up with an idea for software module which runs on standard PCs to increase the speed of execution. Navin files a patent on it in U.S. and gets the patent. Hemant lives in India and gets to read Navin’s patent as patent documents are publicly available on the Internet. Hemant assembles a team of programmers in India to build the software module described in Navin’s patent. Hemant then sells it to Indian PC distributors who then install it on PCs sold in India. Answer: There is nothing Navin can do. US patents do not afford any protection against companies copying and selling the product in India. Many people got this wrong – 37% felt that Navin can take legal help in India to stop Hemant, and 33% felt that Navin can take legal help in the US to stop Hemant. Both answers are incorrect. Question: Unmesh decides to open-source the code that runs SadakMap.com. Navin uses that code to create http://SMSMaps.in. While looking at the SadakMap code, and searching the online patent database, Navin realizes that Unmesh has a patent on a unique new algorithm of allowing users to add content to a online map – and this algorithm is at the heart of the SadakMap code. Navin realizes a unique new way to design a wrapper around the SadakMap code to allow users to add content via SMS. Navin files a patent on this idea, and the patent is granted. Question: Hemant has worked for several years to build a software application that he now wants to sell on his website. Unfortunately, a friend points out that his software uses an algorithm that is patented by DadaGiri Software Pvt. Ltd. DadaGiri Software is known to be litigious and is likely to sue Hemant for infringement. What can Hemant do? Answer: All of the above are possibilities. It is quite possible that a patent that has been granted is not really valid, for any number of reasons, including existing prior art (i.e. this ‘invention’ had been publicly known before the patent was filed). Also, most of the time, it is possible to re-design a product so that it does not infringe existing patents. Persistent Systems, one of Pune’s most well known companies, is finally going public. This is an occasion which many Punekars have been waiting for, and it makes the ‘success’ of Persistent official. Being a very “tech” driven company, many techies join Persistent. There, they are exposed to cutting edge startups that outsource work to Persistent. They are exposed to the latest startup ideas, and they get a chance to interact with entrepreneurs, CEO’s, Business Managers and Engineers based in silicon valley. This helps build an entrepreneurial outlook. In addition, Persistent has also encouraged marrying corporate entrepreneurship with hitech ideas. Employees are encouraged to take time out time to shape Product ideas that later revealed valuable IP for Persistent. This practice continues to be refined and shaped. As a result of this, the Persistent alumni network regularly reveals several entrepreneurs chasing hitech dreams and this trend has only grown with the company. Through it’s alumni, Persistent has created a whole generation of entrepreneurs who might one day just enable Pune to figure prominently on the tech-innovation map alongside the valley. It’s amazing – Anand and Persistent have touched many lives. He finds time for all! He mentored and supported us in our start-up attempt, with advice that still lives in my mind. He’s a great role model. Supporting tech initiatives and organizations in Pune: Be it CSI Pune, or SEAP, or the office of CIO of Pune City, Persistent and Anand have had a hand in it, or at least played a major supporting role. 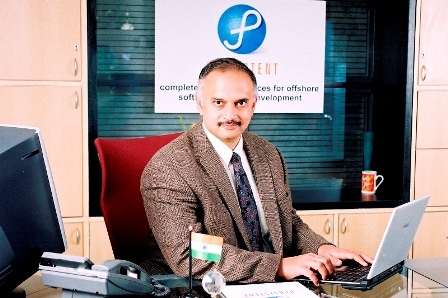 Often, Persistent regularly provides ‘resources’ in the form of developers, or expert advice, to government institutions that are looking to modernize and go digital.Amit Kumar Singh points out that he was able to organize the first PHPCamp thanks to the support of Persistent. That attracted over a 1000 PHP developers to Pune, and was arguably one of the biggest unconferences in India. PHPCamp has now become an yearly activity, and has also spawned the very popular phpcamp.net website. The Dewang Mehta auditorium: This auditorium is easily one of the most sought after places for tech events in the city. it has world class facilities, a perfect center-of-the-city location, and in addition, Persistent is always willing to give the auditorium, for free, to anybody willing to hold a tech event in the city.The number of great events that have happened there (including proto.in, Innovations etc.) is just too long to list out. Support for various initiatives to help colleges and fresh grads: Amit Paranjape points to the TechStart Internship Mela (attended by over 800 students), and the http://punetech.com/techstartin-microsoft-azure-training-program-for-2009-cs-graduates/ (completed by about 200 students) were initiated by Anand, and most of the activities conducted on Persistent premises. Encouragement for returning technologists: Almost any senior technology professional who has considered returning to Pune/India in the last 10 years (myself included) has probably ended up meeting Anand, and gotten the “Pune” pitch – as to why they should return. One of the primary fears, that they might not find anything interesting to work on after returning to India, is quickly allayed by Anand as he talks about all the interesting work that could be done while sitting in Persistent. Many of these people don’t necessarily join Persistent, but they do end up returning, because the picture Anand paints is better than what they had earlier imagined. If you can think of any other ways in which Persistent of Anand have helped the tech community in Pune, please add to the answers on forpune.com. To increase the opportunities available to poor minority students the Ministry of Minority Affairs of the Government of India has started a new initiative to offer job oriented training programmes through various institutes throughout India. Pune’s C-DAC, one of the premiere Government institutes for R&D in the information technology sector, will provide this training via their C-DAC ACTS (Advanced Computing Training School) center in Aundh, Pune. C-DAC Advanced Computing Training School (ACTS) was set up in 1993 to impart quality training in high-end technologies to existing and prospective users of advanced computing. Over the last sixteen years, the activities of ACTS have extended nationally through a network of more than 46 training centres spread across the country. C-DAC is committed to nation building through its Advanced Computing Training School (ACTS) and is the first Government Lab that has expanded its horizons globally, extending its high quality training services to countries like Mauritius, Ghana, Uzbekistan, Tajikistan, Myanmar,Tanzania, Dubai and Japan. Now ACTS will start offering free training under this new scheme. The objectives of the scheme are to assist students belonging to the minority communities by way of special coaching for Coaching/training for jobs in the private sector such as in airlines, shipping, fisheries, information technology (IT), business process outsourcing (BPO) and other IT enabled services job oriented courses as per the emerging trend of employment in the private sector. More details of eligibility criteria are given here. Diploma in Embedded Programming. Minimum qualification BE/ MSC. This is a 5-month course. Are you a Computer Science/Engineering undergrad? Or, have you graduated and are looking for alternatives to the usual Software Development or Testing career paths? If yes, have you considered technical writing as a possible career option? Chances are, you havenât; because you donât know enough about technical writing. People still know so little about technical writing that they miss out on the lucrative job opportunities this profession provides. In this piece, I try to explain what technical writing is all about, and why you should consider this as a career option. As organizations have started recognizing the need and importance of technical documentation, the demand for technical writers with all experience levels have gone up. The demand for technical writers, and consequently the pay packages, are now at par with (or even better than) that of the Software Development or Testing professionals. Sounds like a cool career option? You want to know more about technical writing? Let’s start by finding out who these technical writers are and what they do. Technical Writers are known by different names in different organizations; such as technical communicators, software documentation experts, or information developers. Strong technical background – That’s obvious, considering that a technical writer must understand complex technical concepts, applications, or services to be able to document them. For example, OSS/BSS systems, genomic-analysis application, or even web-services for airline reservation systems. You as a Computer Science/Engineering student have an edge over aspirants with different academic background in this regard, as you already have good exposure to technology. 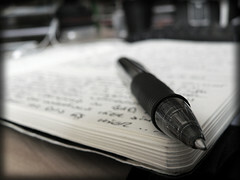 Writing skills – Yes, a technical writer must have excellent command over written English. And that is plain business English, understandable by a global audience. So you are not expected to write in ornate or literary style, but in a simple concise one. Also, you must be able to edit your own and othersâ work to ensure simplicity, conciseness, and usefulness of the technical documentation. There are clearly-defined standards like MicrosoftÂ® Manual of Style for Technical Publications and The Chicago Manual of Style to help you learn how to write and edit a technical documentation. And of course, you must enjoy writing! To write software documentation, a technical writer first needs to study the corresponding software, and find out who are the intended audience for the documentation. The technical writer does so by interacting with the software (if possible), study function designs and developer documentation, and interview Subject Matter Experts (SMEs). Then, the technical writer defines the overall structure of the documentation, and writes down what she learned in that structure. This documentation is then sent for review to the technical and editorial teams for review. If the technical and editorial teams approve the documentation, the documentation is published in desired format (Online Help, PDF, XML, even MS Word). The most challenging part of this process is: understanding the technical jargon and translating it in documentation understandable and usable by the target audience. This also involves judging and including what the target audience must know to work the application, and excluding what is irrelevant to them. Again, your exposure to software development helps you understand what goes behind-the-scenes, and how it impacts the software behavior the target audience sees. Sounds like challenging job profile? Then you may want to know whether you can get any training in technical writing. Various institutes are providing short-term diplomas/certificates in technical writing these days. However, most of such training programs focus only on documentation tools; for example, RoboHelp, FrameMaker, Visio etc. When choosing a training program, you should select one that focuses on technical writing concepts and standards. Given your technical background, you will find the documentation tools much easier to learn. And if your technical writing concepts are good, organizations are willing to hire and train you in the specific tools they use (there are so many tools!). Last year, I conducted weekend mentoring sessions over a month for aspiring technical writers, as a part of the TechStart’09 initiative. I mentored CS students with technical writing concepts like Documentation Development Life Cycle (DDLC), standards, editing, and basic word processing tools. The results were really encouraging with all students landing technical writing jobs by the end of the program. If by now you have made up your mind to take up technical writing, you can start preparing yourself by studying Microsoft® Manual of Style for Technical Publications and The Chicago Manual of Style. Also, you can learn using the editing and reviewing features your word processor (for example, MS Word, OpenOffice Writer etc.) provides. You may also become member of the Technical Writers of India or Technical Writers in Pune groups to learn about new technical writing concepts, techniques, and job opportunities. Feel free to write to me at mugdha at techatom dot in if you are interested in the mentoring sessions. Mugdha Vairagade is a Senior Software Documentation Expert having over 8 years of experience, with strong background in Software Development. She has authored numerous well-appreciated articles and white papers on IT-related topics. She has worked with reputed organizations including IBM, Intel, and CNET. Mugdha presently works as a Senior Information Developer with a services company based in Pune, India. There she leads small teams, executing and delivering high-quality product documentation projects for diverse domains – including Life Sciences, Telecom, and E-commerce. Mugdha’s expertise and interests include Java, Linux, XML, and Open Source, along with Wireless Application Development. Mugdha is an avid Open Source supporter. She also volunteers for Linux Documentation Project, Mozilla Development Center, and Pune Giki. Over the past 2 years, PuneTech has covered a breadth of technology related topics, with a concentration on Information Technology & Software. The strategic goal is to cover multiple technology segments and discuss innovative & exciting developments in these areas; specifically in Pune’s context. It was with this objective that the concept of ‘SIG’ (Special Interest Group) was first mooted last year. A SIG covers a given vertical or horizontal domain area in depth. We decided that the best way to expand PuneTech would be to create a number of such SIGs, each focused on some particular vertical, and each run by someone who is passionate about that vertical. PuneTech would provide support, like a launching pad, publicity and visibility, and guidance about what works and what doesn’t work, based on our own experiences. Over time, we expect SIGs to have their own websites, and their own offline events. PuneChips was the first SIG, launched in June of 2009, launched by Abhijit Athavale (SIG Leader) in cooperation with PuneTech. It focuses on semiconductors design and applications. This SIG has arranged many successful meetings and events, and now it has also launched has its own website: www.punechips.com . This website features information about the PuneChips events, as well as blogs about the semiconductors and embedded system industry. Volunteers like Arati Halbe have helped with PuneChips (but more volunteers are needed). Also, the Venture Center and Kaushik Gala have been helpful in graciously providing their premises for holding PuneChips events. For more details see the PuneChips about page. PuneTech hopes to incubate more SIGs like PuneChips in future, and spin them off as separate entities. PuneTech will continue to be actively involved in supporting and publicizing the events and activities of these SIGs. If you’d like to start one, please get in touch with us. Over the past 8 months, PuneChips has organized a number of interesting meetings, featuring senior thought leaders from the semiconductor industry. It also has an active google-groups mailing list and a ‘Pune Chips’ linkedin group. Nearly 200 professionals and students from the VLSI, Embedded Systems, and other related areas are members of these groups. You can also follow PuneChips on twitter. The first kick-off meeting of PuneChips in June 2009 featured Abhijit Abhyankar, Head of Rambus India. His talk on Emerging opportunities in the semiconductor industry presented a nice overview of the semiconductor sector and its progression over the past few decades. He also discussed emerging opportunities and trends in this field. The second event featured Shrinath Keskar, ex-MD of Ikanos India. His presentation: IC Design Challenges in the Telecom sector discussed the various challenges in IC Design, specifically with respect to the Telecom Sector. The August 2009 speaker Jagdish Doma, former director of VLSI design Conexant Systems, covered ASIC Verification trends and challenges. The October 2009 session featured a talk by Cliff Cummings, President of Sunburst Design and SystemVerilog Industry Guru. He talked about SystemVerilog & Designer Productivity, discussing specific tools and tricks for improving designer productivity. The January session featured Madhu Atre, President of Applied Materials India. His talk on A Bright Solar Future discussed the various new developments in the area of solar power (specifically photo-voltaic) and the macro alternate energy global trends. He also touched upon the implications of these developments for India, including costs and government incentives. In 2010, PuneChips plans to arrange similar meetings, featuring talks by thought leaders from the industry. The SIG also looks forward to more active interactions on the mailing list and linkedin group. If you are interested in learning more about the PuneChips activities and/or have a speaker you would like to recommend, please contact Abhijit Athavale. It would be great if Pune has many more such SIGs. 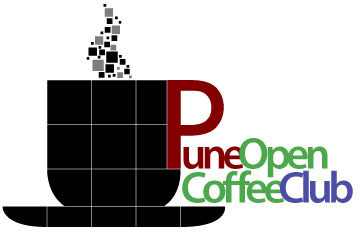 A number of such groups and organizations are already active (some like the Pune Linux Users Group have existed long before PuneTech was started, and most like the Pune Open Coffee Club, for entrepreneurs and startups, were created independently). But there is scope for many more. The existing ones largely tend to be focused on particular technologies (like the Google Technologies User Group, or the Pune User Group for Microsoft Technologies). There are only a few that are aligned with industry verticals, like PuneChips or the Null group focused on security. I think there should be more. So, if you’re passionate about some industry vertical, and are willing to spend at least a few hours a week on organizing a Pune-based SIG around that vertical, and are willing to do that for at least a couple of years, please let in touch with us, and let us make it happen. In fact, it does not even have to be a vertical. It can be a horizontal area that goes across groups. As long as it is something that benefits Pune’s techies, we are game. In fact, we’re soon expecting to make an announcement related to PuneTech and Marathi. Subscribe to PuneTech so you don’t miss it. And a whole bunch of other topics. And the beauty of barcamp is that many more topics will get added over the next few days. But, really, you should go to speak about what you are working on. That is the whole point of barcamp. When: Saturday, March 13, 9am-6pm. Registration and Fees: This event is free for all to attend. Anybody can attend. Register here. (Monday, 8th March, is women’s day. PuneTech has decided to use that excuse to start a new series of articles highlighting inspiring stories about Pune’s women. For this purpose, we are roping in women techies who are active in the Pune tech community, and asking them to interview women who have great career stories and can serve as role models. Basically, by Pune’s women, of Pune’s women, for all of us. See this TechCrunch article by Vivek Wadhwa to get an idea of why this is important to do. We’re hoping that this will not just be an article or two in March, but a continuing series. We already have a number of interview candidates identified – but we need more interviewers. If you’re interested, please get in touch with us. Normally, we expect to highlight women techies – those who have achieved something in the tech field. However, for the first post of this series, we’ve chosen a non-techie; but one who needs help from techies. We are hoping that Pune’s tech community will rally around her. Also note: women bloggers, twitterers will get a chance to interact with her at the Pune women’s blog/tweetup on Sunday 7th March. Dr. Capt. Ritu Biyani is a breast cancer survivor. Based in Pune, this lady has earned several feathers in her cap: ex-dental surgeon in army, first lady officer paratrooper from the army dental corps, a mountaineer, skydiver and a thorough nomad. Her story is not important only because she is a cancer survivor, but because she chooses to dedicate her life for cancer awareness activism. In her zeal to reach out to people around the country, she has driven solo across the country! This is a map of the road trip that Dr. Ritu took across India with her daughter. They personally delivered breast cancer awareness workshops to over 26000 people in the remotest corners of India. Click on the map for a larger picture. Along with her then 14-year-old daughter Tista, she drove to the four tips of India in a Ford endeavour for 177 days! Together she and Tista (her daughter) hold the Limca Book of Records for first mother-daughter duo expedition on cancer awareness across the country. You can also read much more details about her story and her initiative at her full interview at the Visceral Observations blog, to know her cause and why another road trip. On her first expedition, Dr. Ritu reached out to 26000 people. She plans to go on second expedition this time focused on North, Central and South India. However, for her endeavour, Dr. Ritu needs our help in several ways to make this expedition happen. What is the foremost thing you need help with to make your expedition happen? The first I need is a sturdy car, preferably 4X 4, since this is a road trip. A SUV with good ground clearance is a necessity. As a woman, safety is an additional concern. I do not want to be stranded with an unreliable car that breaks down in a remote, distant inaccessible place. Last time I travelled on Ford Endeavour, which served well for the purpose. Dr. (Capt) Ritu Biyani-Joseph and her daughter, Tista, with the car they used for their breast cancer awareness roadtrip. This time I am looking for sponsors who believe in the cause enough to arrange funds for a car and other necessities like a data card and BSNL connection on roads. BSNL is the only one that works everywhere and phone is the only way I keep in touch with my family while I am on roads. I would further need volunteers who can help me organise workshops locally during the expedition. So you must be in touch with organisations that carry out corporate social responsibility initiatives? Yes, I have few leads. But I am required to submit proposals. Since I have no prior experience in drafting such proposals, I am counting on help from your readers who are adept at this sort of thing. Further, any leads on possible sponsors are encouraged from the PuneTech readers. What social media networking Websites have you been using to connect with possible volunteers for your cause? I rely mostly on my email and phone. Thankfully, so far I have had considerable media coverage, all such articles carry my email and phone. People contact me through both. Then there is a Web site for my foundation Highways Infinite, which I admit requires an overhaul to reflect teh details of my work. I aim to add a section there where anyone can interact with the cancer experts. Perhaps it would help if we had volunteers who manage the twitter and facebook accounts for you. You mentioned something about requiring volunteers to organise the workshops. Yes, though I have not yet planned my itinerary and exact date of my trips. It would be great if some local volunteers in different parts of India could step forward to organise the workshops in their area. Key assistance required is that they can coordinate and get together people from their community. I also want to identify few volunteers, who could further be trained to conduct workshops in their own. This way even after I am gone, cancer awareness will continue. This, as I understand, is a call for the volunteers in other parts of India, especially those living in north, central and south India along the central axis, the route on which you are planning your second expedition. Is there anything that the volunteers from Pune can help you with? Yes, I can think of at least two ways. I have been meaning to create a documentary of my first expedition and the recent cancer walk conducted in Pune. The latter is a short-time task. I have video footage that needs to be edited. I am learning to edit my videos, but any help in this task is appreciated. However, creating documentary out of hours of amateur footage (me and my daughter have shot mostof it. ) is tedious. It requires more work. I also hired an video editor but it did not work out. Hopefully, through your readers I can find me someone who can help me with this mammoth task. You mentioned a second way Pune volunteers can help you? Yes, when I conduct workshops on my road trip. I would like to leave behind some posters on cancer awareness, facts and myths. I need help from some creative people who can create as many posters as possible. I have few templates for some such posters, but more creative ideas for the same are also welcome. So there you go, techies and creative folks, you have it from Dr. Ritu herself as to how you can be part of her noble cancer awareness endeavour. You can brainstorm and suggest web-savvy ideas/strategies to spread her work, organise fund-raisers, and arrange for people who need workshops. Please step forward and extend your helping hand. In case you want to contribute to Dr. Ritu’s project financially, you are more than welcome. NO AMOUNT IS TOO SMALL. Her foundation is called Highways Infinite. All donations are exempted under 80G  of the Income Tax Act, 1961. Dr. Ritu is a guest speaker at Women’s Day Tweet up in Pune on this Sunday , 7th March, 2010). If you are a women in Pune, you can register here and participate. Poonam Sharma is an instructional designer by profession. She is a bibliophile, movie and theater lover, who doesn’t think twice to take up social causes. She calls herself a small-time activist and blogs at Visceral Observations.